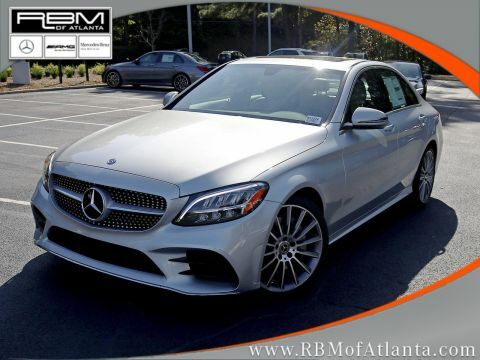 WHEELS: 18 TWIN 5-SPOKE -inc: Tires: 225/45R18 Fr & 245/40R18 Rr, WHEEL LOCKING BOLTS, SILK BEIGE, MB-TEX UPHOLSTERY, SD-CARD NAVIGATION PRE-WIRING, PREMIUM PACKAGE -inc: KEYLESS GO, HANDS-FREE Comfort Package, SiriusXM Satellite Radio, HANDS-FREE ACCESS, Electronic Trunk Closer, MOJAVE SILVER METALLIC, LIVE TRAFFIC, HEATED FRONT SEATS, HEAD-UP DISPLAY, DARK BROWN LINDEN WOOD TRIM. 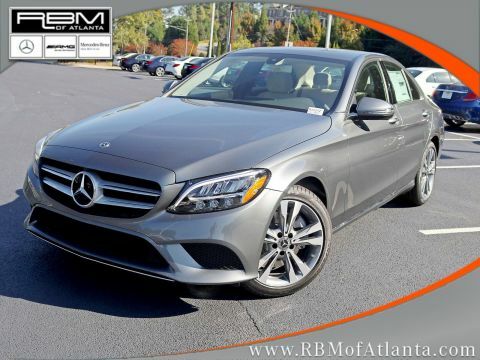 This Mercedes-Benz C-Class has a powerful Intercooled Turbo Premium Unleaded I-4 2.0 L/121 engine powering this Automatic transmission. 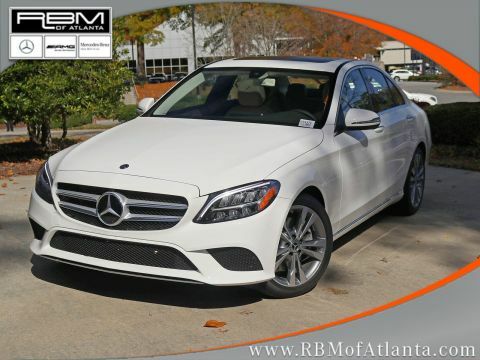 *These Packages Will Make Your Mercedes-Benz C-Class C 300 The Envy of Your Friends *BLIND SPOT ASSIST, BLACK FABRIC HEADLINER, BLACK, 12.3 DIGITAL INSTRUMENT CLUSTER, 10.25 CENTER DISPLAY, Window Grid Antenna, Valet Function, Urethane Gear Shift Knob, Turn-By-Turn Navigation Directions, Trunk Rear Cargo Access, Trip Computer, Transmission: 9G-TRONIC 9-Speed Automatic, Tires: 225/50R17, Tire Specific Low Tire Pressure Warning, Systems Monitor, Strut Front Suspension w/Coil Springs, Side Impact Beams, Seats w/Leatherette Back Material, Remote Releases -Inc: Power Cargo Access, Remote Keyless Entry w/Integrated Key Transmitter, 4 Door Curb/Courtesy, Illuminated Entry and Panic Button. 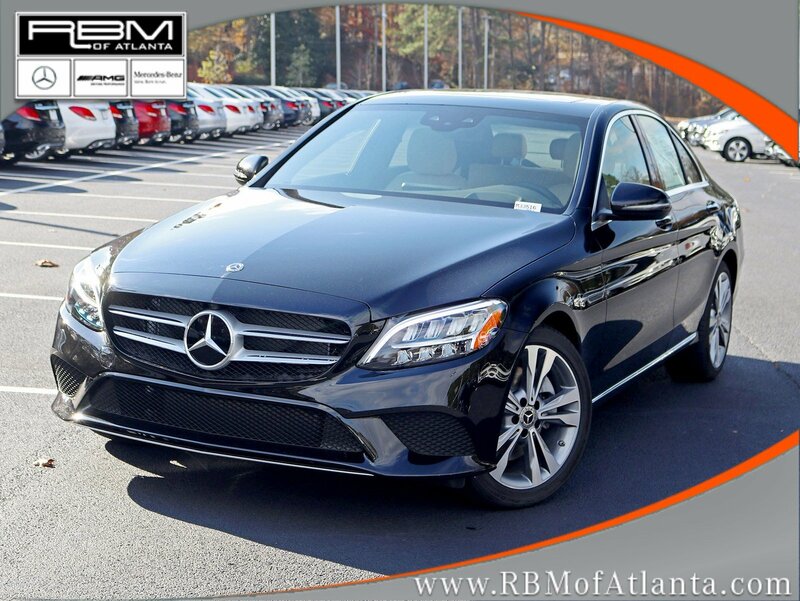 * Stop By Today *A short visit to RBM of Atlanta located at 7640 Roswell Road, Atlanta, GA 30350 can get you a trustworthy C-Class today!